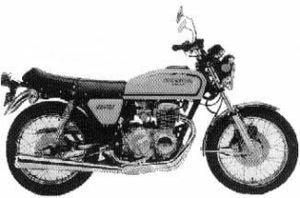 After introducing the four-cylinder string of lighter fours featuring engines as small as 350 cc (CB350 Four, CB500 Four), and this 408 cc Four. 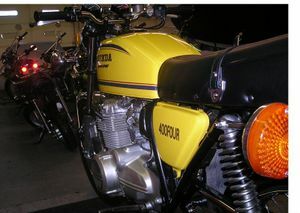 For the most part, the CB400F was simply an upgraded version of the 350 model from the previous year. 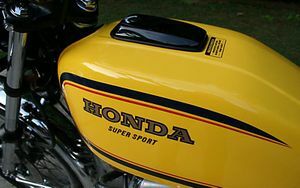 The most striking change was the swoopy four-into-one exhaust system that snaked around the frame, converging into a single muffler on the right side of the bike. Also noticeable were the angular fuel tank and flat cafe-style handlebars, all of which gave the bike a more racer-like look and feel than the rather pedestrian 350. Although aimed at the sporting segment of the market, the CB400F came up a little short in the performance department compared to the competition, most notably the quick but noisy two-stroke triples from Kawasaki. 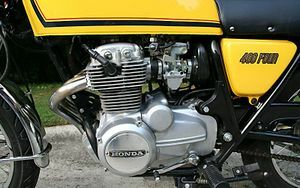 But whatever the CB400F engine lacked in power it made up for in refinement, the small-displacement four-stroke being smooth and less audibly irritating than a two-stroke. To help keep the engine in its power band, Honda employed a six-speed transmission—something of a rarity at the time. 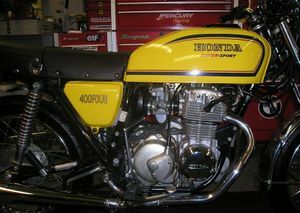 It should also be noted that the CB400F was a very successful Motorcycle in club or privateer racing. 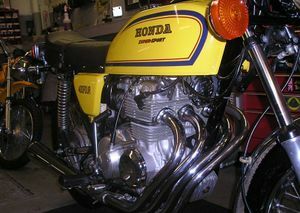 Kaz Yoshima and other racers were able to take Honda's little 408cc engine up to 490cc and with the addition of other racer options, this small bore was considered a 'giant killer'. 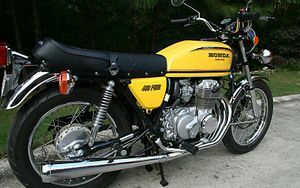 The Honda Super Sport 400 designated CB400F0 was sold in 1975. Two colors were available: Light Ruby Red and Varnish Blue. The fuel tank and side covers were painted one of the basic colors. The exhaust system was a 4-into-1. The handlebars were low. 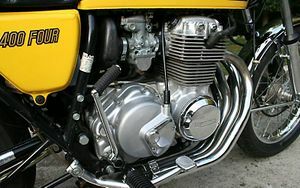 The engine was a 408cc 4-stroke SOHC inline four cylinder with four carburetors. The transmission was a 6-speed. 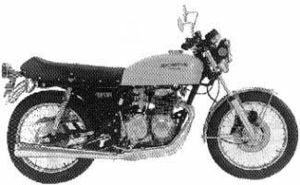 The serial number began CB400F-1000001. 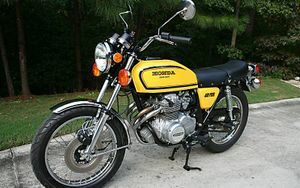 The CB400F'76 was sold in 1976 and was available in two colors: Light Ruby Red or Parakeet Yellow. 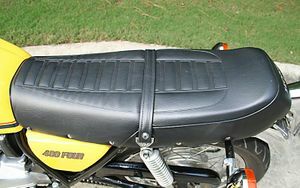 The gas tank was the basic color (red or yellow), but the side covers were black. The exhaust system was a 4-into-1. The handlebars were low. The engine was a 408cc 4-stroke SOHC inline four cylinder with four carburetors. The transmission was a 6-speed. 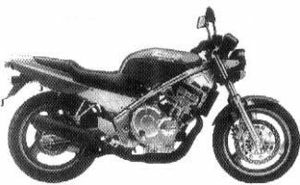 The serial number began CB400F-2000001. 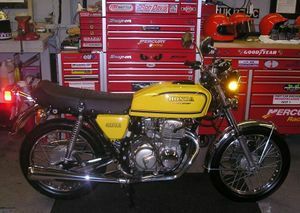 The CB400F'77 was sold in 1977 and was available in two colors: Candy Antares Red or Parakeet Yellow. The gas tank stripes were gold and orange on the red bike, but black and red on the yellow bike. The gas tank filler cap was recessed. The handlebars were raised. The exhaust system was a 4-into-1. 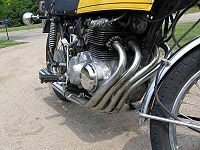 The engine was a 408cc 4-stroke SOHC inline four cylinder with four carburetors. The transmission was a 6-speed. 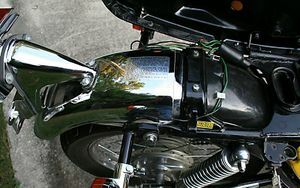 The serial number began CB400F-2100001. 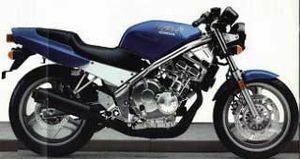 The CB400F'89 CB-1 was sold in 1989 in just one color: Pearl Presto Blue. The exhaust system was a 4-into-1. The camshafts were gear driven. 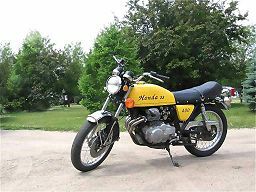 The engine was a 399cc DOHC 4-valve liquid cooled inline 4 cylinder linked to a 6-speed transmission. The serial number began JH2NC270*KM000010. CB400F'90 CB-1 was sold in 1990 in just one color: Pearl Presto Blue. The "CB-1" tank logo was red. The exhaust system was a 4-into-1. The camshafts were gear driven. The engine was a 399cc DOHC 4-valve liquid cooled inline 4 cylinder linked to a 6-speed transmission. The serial number began JH2NC270*LM100010.